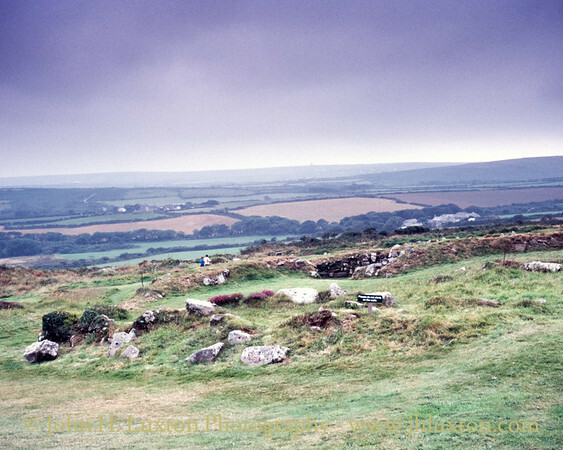 35mm photographs of the Penwith District of Cornwall from the 1970s to 2000. 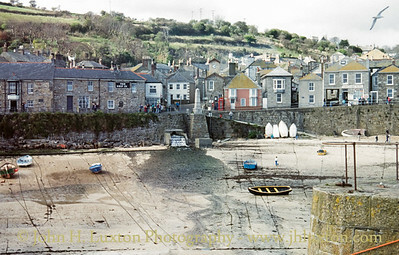 Mousehole Harbour - Ship Inn and War Memorial in the centre of the photograph. 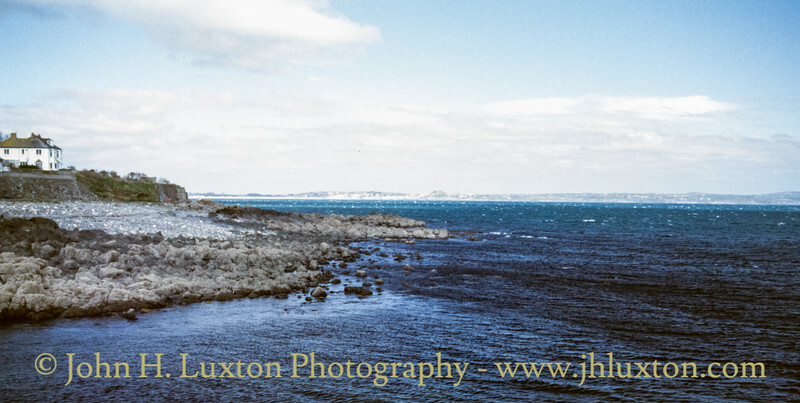 St Clement's Isle - a small rocky reef just off Mousehole Harbour which once boasted a chapel and was once the home of a hermit who maintained a guiding light. 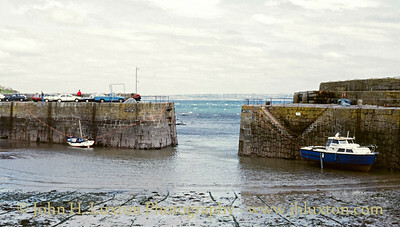 Mousehole Harbour entrance. During the winter timber baulks are placed across the gap to protect the harbour from the winter storms. 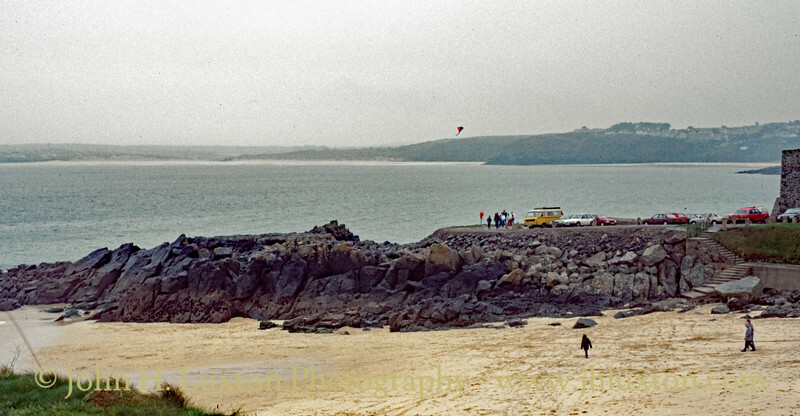 View from the south pier looking towards Mount's Bay. 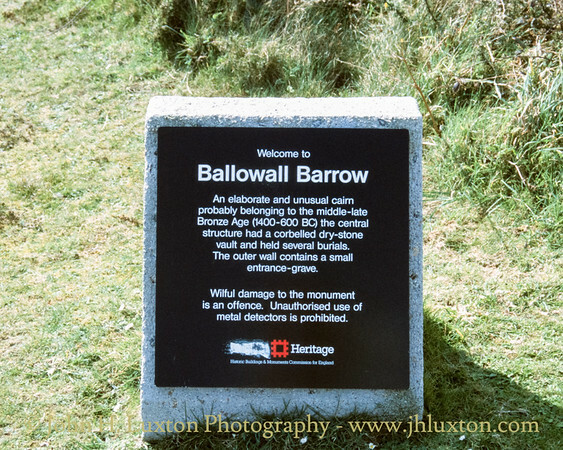 Wilful damage to a sign warning about Wilfull Damage! At the time Cornish Nationalists were objecting to "English" Heritage and were advocating "Cornish" Heritage signs. 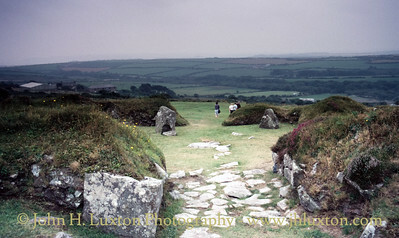 n a spectacular cliff-edge position, this unique Bronze Age tomb had a long and complex history as a sacred site. 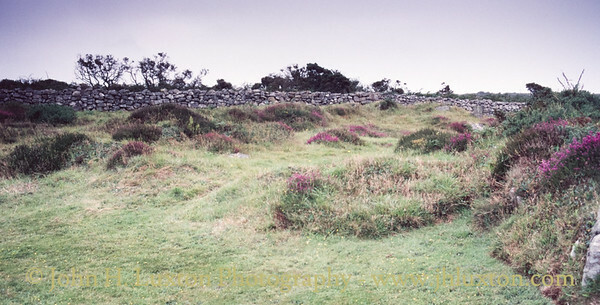 The barrow was excavated (and radically altered) in 1878 by Cornish antiquarian William Borlase. 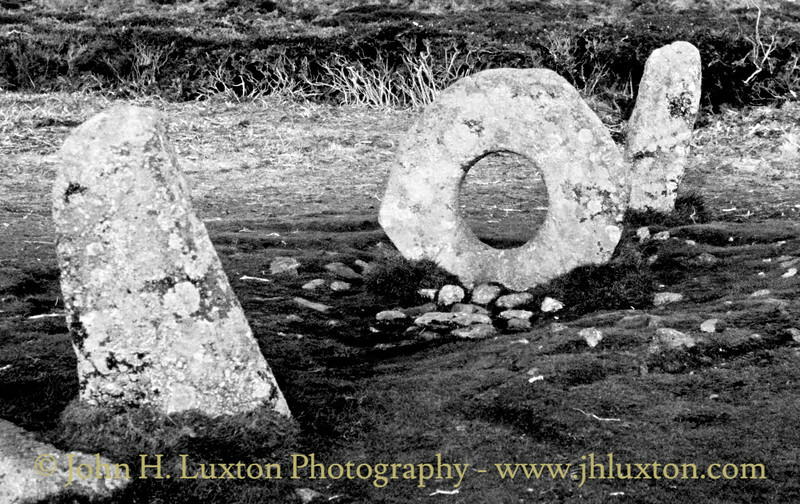 It is now in the care of English Heritage. 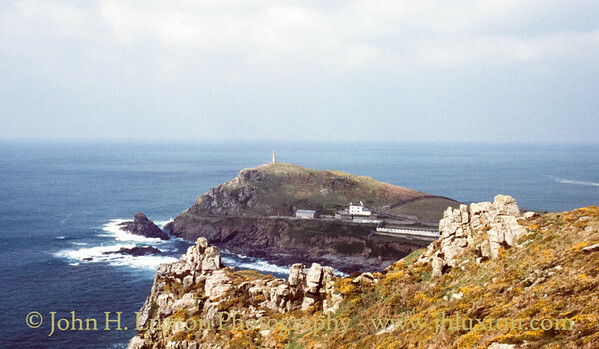 Cape Cornwall viewed from Carn Gloose. Mên Scryfa (or Mên Scrifa, literally "stone with writing") is an inscribed standing stone in Cornwall, United Kingdom (grid reference SW427353). 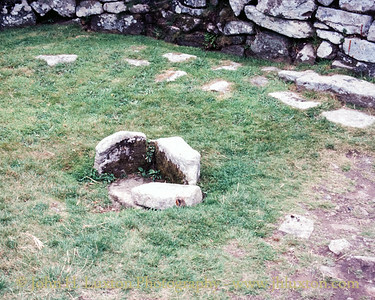 The inscription, dating to the early medieval period, commemorates "Rialobranus son of Cunovalus." The inscription, in debased Roman capitals, reads "Rialobrani Cunovali fili", which translates as "Rialobranus son of Cunovalus." 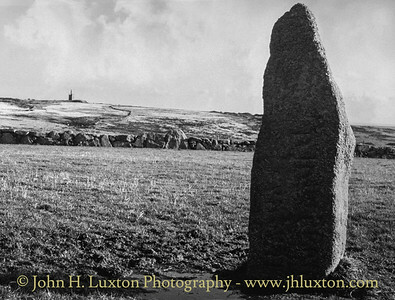 Rialobran is not known elsewhere, but he may have been a Cornish petty king or tribal leader. 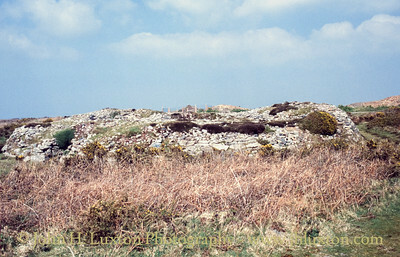 Rialobran (or Ryalvran) may be Cornish for "royal raven", whereas Cunovallos may be British for "famous leader", thus the inscription would read "royal raven son of famous leader. 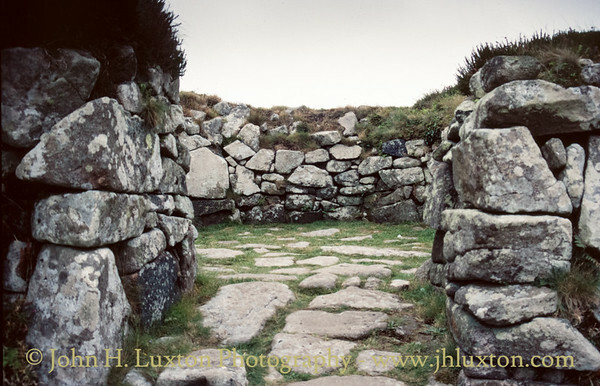 Antiquarians, at one time, used to identify Cunovalus with the pre-Roman British king Cunobeline. The harbour looking towards the Church of St Ia. 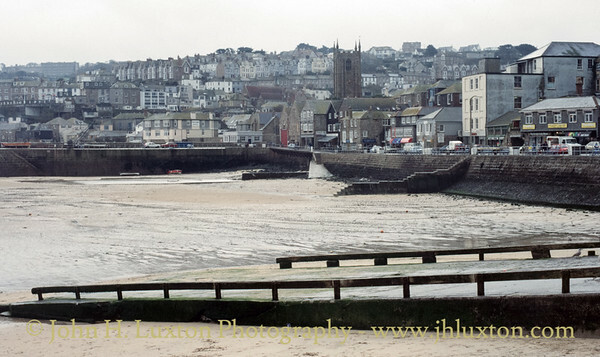 The lifeboat slipway is in the foreground. Launching taking place via tractor. A new slipway near the a new lifeboat house has since been constructed. 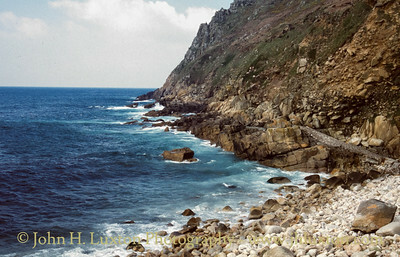 Porthgwidden Beach viewed from "The Island"
Chysauster Ancient Village is a late Iron Age and Romano-British village of courtyard houses in Cornwall, England, United Kingdom, which is currently in the care of English Heritage. The village included eight to ten houses, each with its own internal courtyard. 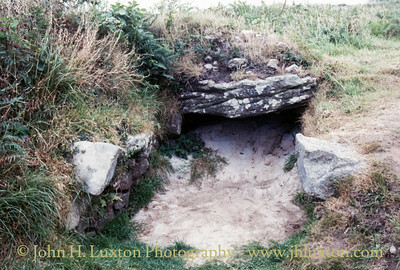 The Fogou a storage cave Chysauster Ancient Village is a late Iron Age and Romano-British village of courtyard houses in Cornwall, England, United Kingdom, which is currently in the care of English Heritage. 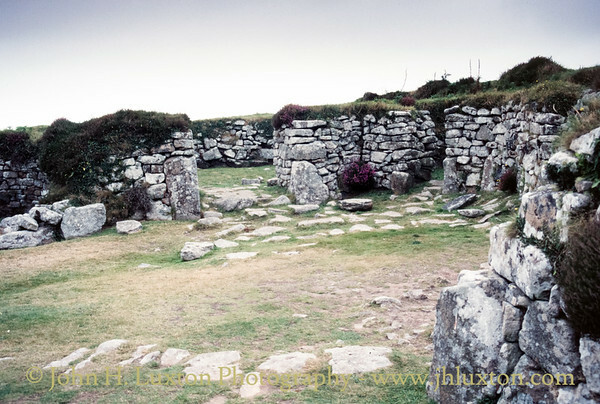 The village included eight to ten houses, each with its own internal courtyard.